"Love Zoom products and this is no exception"
Firstly, I have the same jack issues as some fellow reviewers, namely, the XLR/jack connectors that "eat" the plug. They are so hard that if you connect a poor quality plug (I had the problem with a 50 cent jack/RCA adapter), the tip will remain stuck in the R16 and you will have one jack less on your R16. And getting it out is not a walk in the park nor is it exempt of risks, since the cables are excessively short. I haven't had this issue with good plugs, though. Soundcard: Not bad, low latency, good performance. The recording quality is all right, no noise. The dynamic range and headroom are not as good. It's not a Mackie, but it's not the same price either. At this price point, I'm not sure there are many products that can record 8 tracks via USB, apart from Behringer's Xenyx, which would make for an interesting comparison. It's easy to set it up with a DAW (Mackie Control mode). I use it with Reason and have no issues with it. When you move the faders, the software faders move, too, but since you can't use it live with your DAW (awful sound, you are force to monitor it), personally, it isn't very useful, but it's amusing. (I'm sure the sound is okay with 2 or 3 tracks, I've tried it with 8 only). Mixer: It can be used for emergencies. Bad accessibility to the EQ and effect controls. The reverb is not bad , the delay is okay, but the rest is to be used only in an emergency. The EQ is okay. Recorder: Great. Personally, I think it's very easy to use and that the sound is perfectly in sync, without any latency or compensation. You stick in an SD card, create your program, record, take the card out, put it into the PC, and import the tracks (WAV) into your DAW, easy as that. 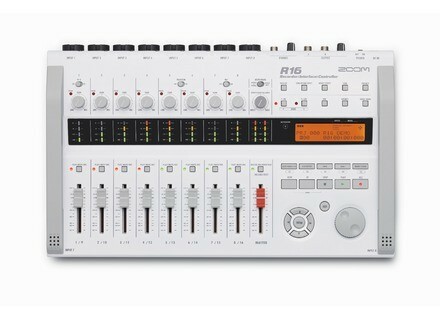 In short, for the price, it's a good recorder to make demos. It may also be used as a mixer but not for live gigs, although if you don't have other options, it does the job, but don't expect to be able to do much in terms of settings and also consider that the outputs are very limited. It's a pity it doesn't support MIDI. Would I buy it again? At this price, sure, although next time I'll surely get a Mackie Onyx.